Below you can see a series of trend charts, showing you the number of issues in different priorities, total number of issues and the number of pages crawled over time. 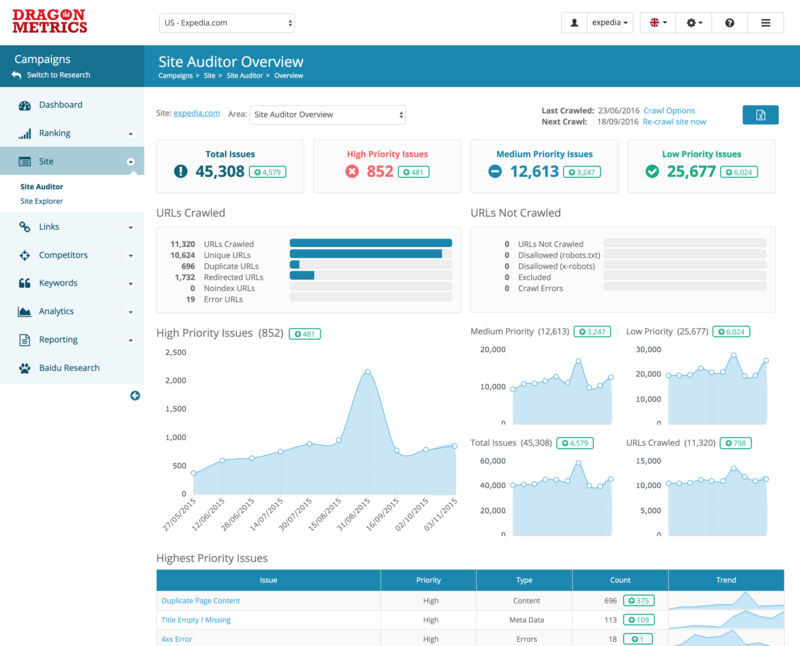 In the Highest Priority Issues table, you will see the most important issues on your site, sorted by importance and occurrences. Issue – The name of the issue. Clicking onto each Issue will show the detail page of that issue. 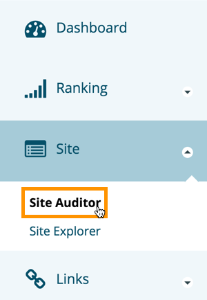 At the bottom of the page there will be a series of bar charts showing all the most common on-page SEO data and issues we've detected on your website. 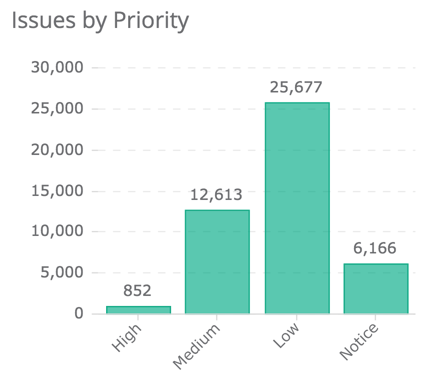 Distribution of issues we've detected on your site, grouped by priorities. 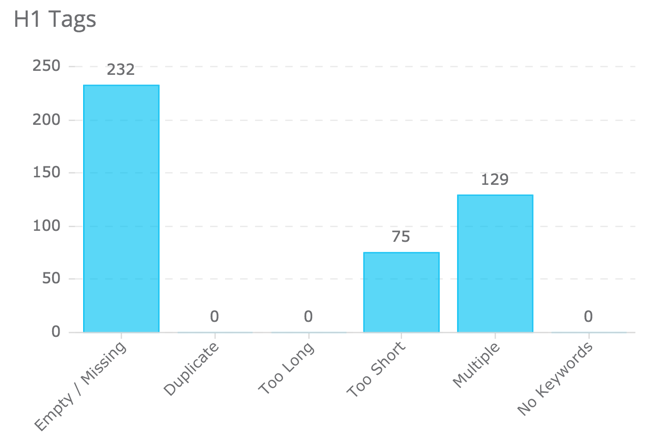 Distribution of issues we've detected on your site, grouped by types. 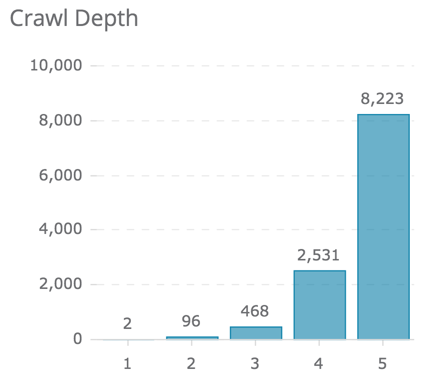 Distribution of URLs we've found on your site, grouped by crawl depth. Distribution of URLs we've found on your site, grouped by their HTTP scheme. Distribution of redirect types we've detected on your site. Distribution of error types we've found on your site. 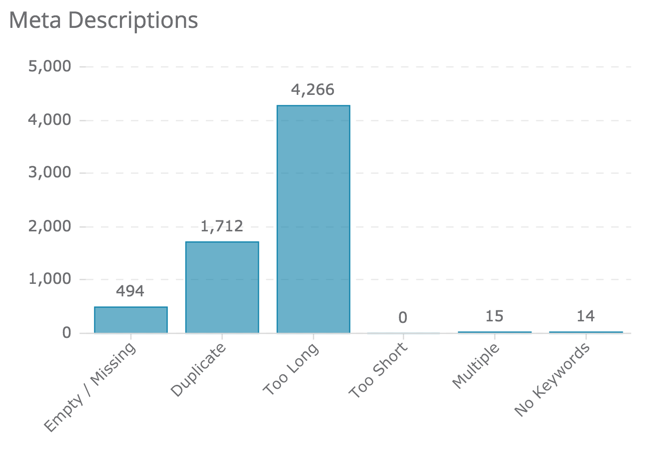 Distributions of issues related to title tags we've found on your site. 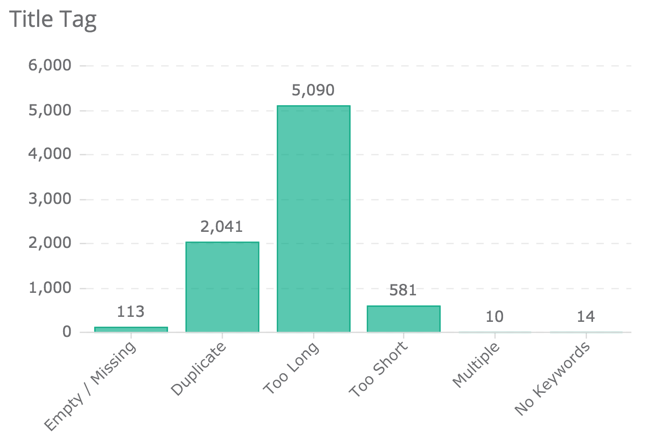 Distributions of issues related to meta description tags we've found on your site. 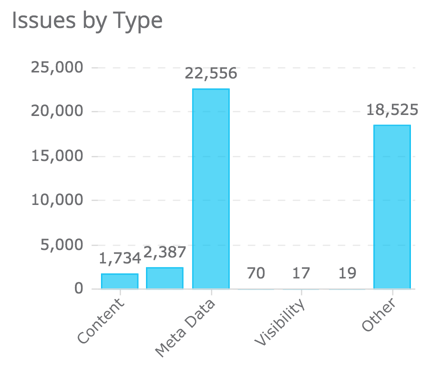 Distributions of issues related to H1 tags we've found on your site. 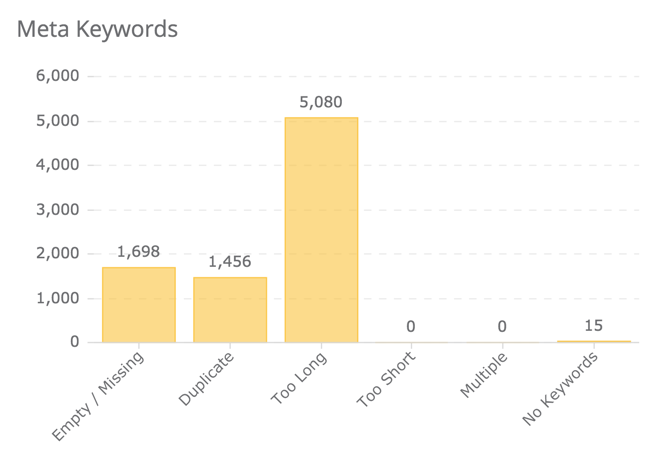 Distributions of issues related to meta keywords tags we've found on your site.